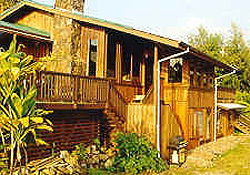 Cedar House is a Bed & Breakfast in Kona, offers Hawaii big island lodging. 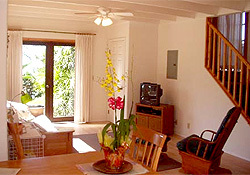 Enjoy the spacious accommodations of our bed and breakfast home in the heart of Kona coffee country. Hawaii is justly proud of its famous Kona coffee and the Kona region is notable for its history and culture. 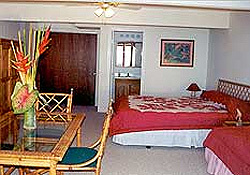 Explore Kona from Cedar House Bed & Breakfast and sample the very best that Hawaii has to offer. And of course, drink your fill of Cedar House Bed & Breakfast's own Kona Estate coffee. 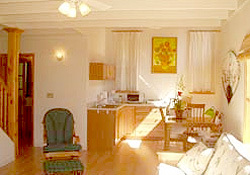 Enjoy expansive views and a hearty breakfast buffet including our home grown 100% Kona coffee. Relax and sample tropical country living on your amazing Kona, Hawaii vacation. Coffee, bananas, papayas and pineapple all grow on our property. Kealakekua Bay is just a short drive away - hike there, swim with dolphins, or kayak to Captain Cook monument. We welcome families with children. English and German are spoken.